1. Custom Designs available for different shape, size, colour, logo printings, etc. 3. Professional Machines for Cutting and Sewing. 4. We use strong threads to Double Stitch Everywhere and Quadruple Stitch for sensitive parts to ensure quality. 8. High quality small hole netting (mesh) for safety protection. 9. Air blowers are CE, UL and GS approved in 110v-120v or 220v-240v with various kinds of plugs. 10. Each product includes repair kit (glue and same colour PVC materials). 11. Strong packing bag and export carton for transport and reuse. 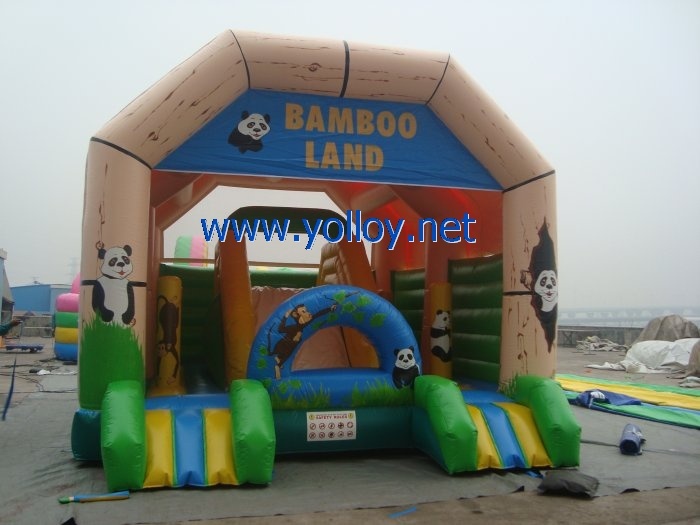 The inflatable bouncy house is used mainly for: Backyard Parties, Festivals and Carnivals, Schools and Daycares, Churches and Youth Groups, Corporate Picnics and Functions, Grand Openings and Promotions kids birthday parties and so on.